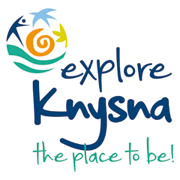 Relish the tranquil country lifestyle of Knysna with easy access to the Garden Route and Klein Karoo. Prospect Cottage is a spacious, comfortable, furnished home providing real value-for-money self catering accommodation for up to six people. It is also an ideal venue for honeymooners as they have the space and privacy of the entire house and garden. Sip drinks on the elevated wooden deck with panoramic views of the lagoon and the Knysna Heads or enjoy the view from the lounge, dining room and bedrooms. Watch the sun set over the tranquil lagoon while you enjoy your sundowners. Ideally situated, a three-minute walk to central Knysna and the lagoon, yet off the busy main road and located on a quiet cul-de-sac. Easy access to boating and watersport facilities, restaurants, shops and a short stroll from the Knysna Waterfront complex. Secure and hassle-free. Prospect Cottage offers you accommodation at its very best. Your “home away from home”.